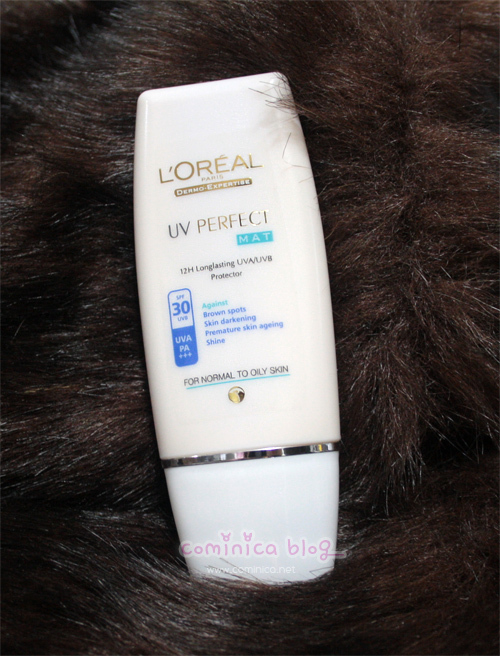 Loreal UV Perfect is a 12H Longlasting UVA/UVB Protector , A longlasting optimal protection in a new light mattifying texture, for fair & mat skin. * AGAINST OUTSIDE AGRESSIONS: Anti-UV protective shield with anti-pollution ingredients. Usage : I use this Uv after my daily skin care all over my face. 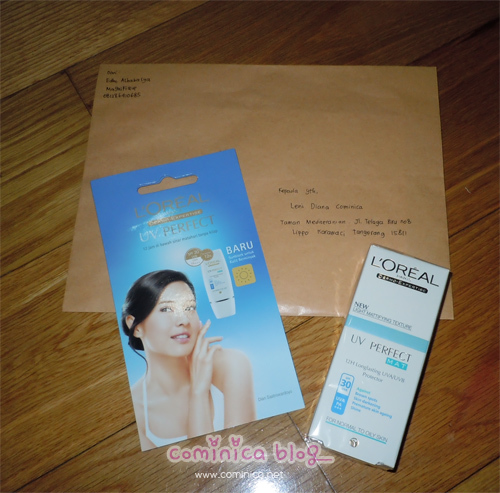 This uv perfect is specially designed for OILY skin and not comedogenic and sweat proof. I've use this uv perfect mat for a week, but I rarely go outside and hit the sun directly. But, the mattifiying effect is really good because my skin is get oily on the T-zone and usually after I use a sunblock my skin become a litte shiny because of the oil. But, this sunblock is make my skin look okay and not shiny after use. That makes me love it!! And after use it for hours, this uv is control my sebum arround whis is pretty much *-* and usually makes my nose look a bit cakey, but this sunblock works pretty well for 4-5 hours. Although it claims for 12H longlasting effect I don't know because I only try it about 4-5 hours per day, you should try it by your self. Where to get this product? Drug stores, hyper market or any cosmetics store should have it. This sounds like something I'd definitely like. I'm a big sunblock fan (though mainly because I'm trying to prevent wrinkles for as long as possible. I dislike when they leave an oily aftermath so the matte effect is A+ material! ohh great review hun! thanks for sharing. IMY.. happy holidays sissy! I never heard of this product! I kind of want to try this because I have oily skin too! Oh that's pretty cool! I didn't know that it actually mattified the skin. xD Must get! <3 Thanks for sharing! This sounds like a really good sunblock! The mattifying properties are a plus, because my face always gets very oily and shiny in the summer >< Thanks for the great review! I should try this, mahal ga?